If you’ve been in an accident, you may wonder what sort of car accident compensation you can recover. To answer that question, you must understand what determines the amount of accident compensation. Unfortunately, there is no simple answer, but there are several factors that play a major part in determining the amount of car accident compensation available. The more serious the personal injuries, the more compensation will be possible. This makes sense, as the more surgeries, days in the hospital, follow-up doctor’s visits, physical therapy sessions, etc., the higher the medical bills and therefore, the higher the potential car accident compensation. It can also understandably mean more pain and suffering, which is often a type of damage recoverable in car accident cases. The same concept applies to property damage. The more extensive the damage to the vehicle and the more expensive it is to make repairs (or replace the vehicle), the higher the car accident compensation will be for property damage. This is another critical variable. Depending on the exact law applying to the case, the amount of responsibility you have in causing the car accident may directly affect whether you’re able to get any compensation from the car accident and if so, how much. For example, if you were 100% responsible for causing the accident, you won’t be able to recover any car accident compensation from the other driver who was not at fault. And depending on the state law that applies in your car accident lawsuit, if you were 25% at fault, you may be able to recover car accident compensation from the driver who was 75% at fault. However, you could see a car accident compensation reduction of 25%, which represented your level of responsibility in causing the car accident. Another variable that can increase the amount of car accident compensation is if others were adversely affected. For instance, a spouse or child of the car accident victim may have a claim for loss of consortium, which refers to loss of love and affection experienced as a result of the spouse or parent getting hurt. The clarity of who was at fault can also play a role in determining exactly how much a victim can recover in car accident compensation. And figuring out who was at fault boils down to the evidence. The number of eyewitnesses, existence of video footage, police reports and the like will affect how much responsibility for causing the accident the driver faces. It can also affect how “sure” a jury is when dividing blame among multiple drivers. The more conclusive the evidence a driver has to support the claim that he wasn’t at fault, the more likely he will be to recover car accident compensation. This can sometimes indirectly lead to an increase in potential car accident compensation, too. 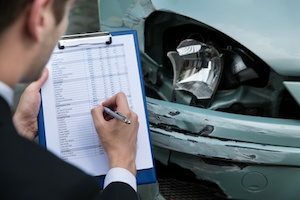 Think You Might Have a Car Accident Claim? Learn more about car accident compensation by contacting our legal team at Williams & Williams, LLC.